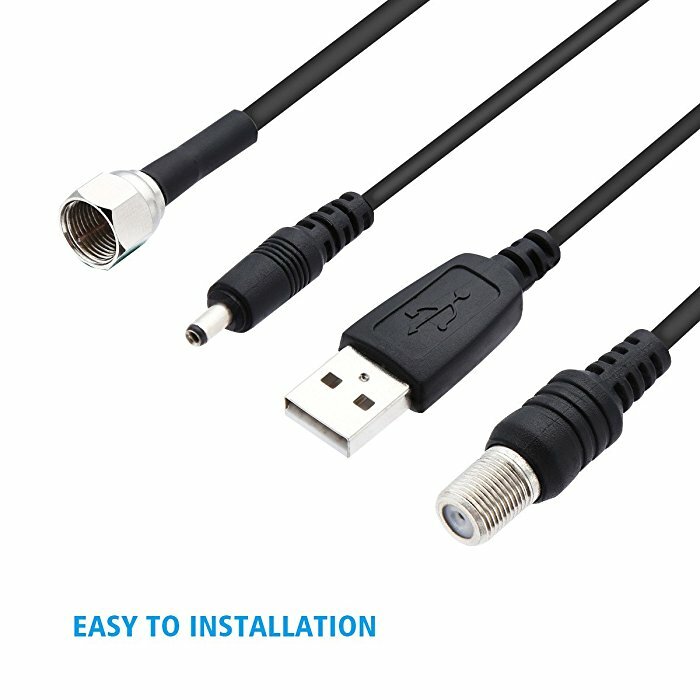 Convenitent Coaxial Cable: It’s built with a 10-foot-long coaxial cable for easy connection. 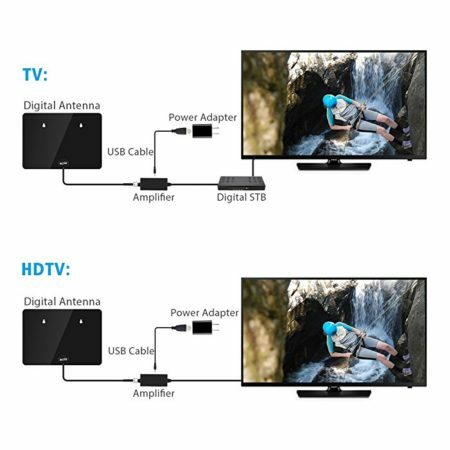 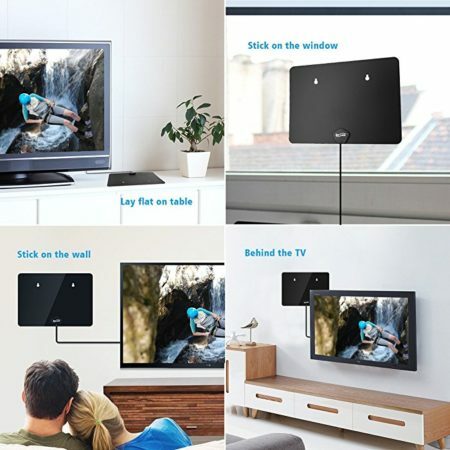 Wide Range TV Antenna: This HDTV antenna can give you high definition TV channel reception within 50 miles’ range. 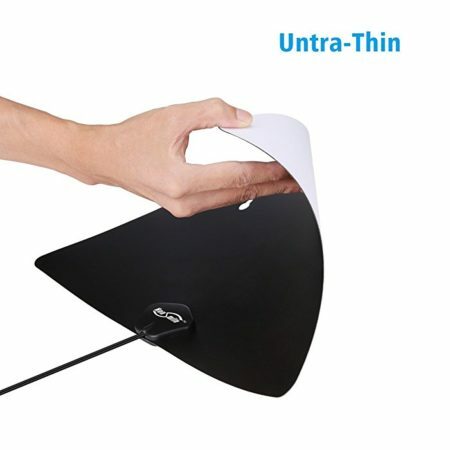 For the best signal effect, you can mount this antenna by sticking it on the TV cabinet, to the window, on the wall or just simply behind the TV set. 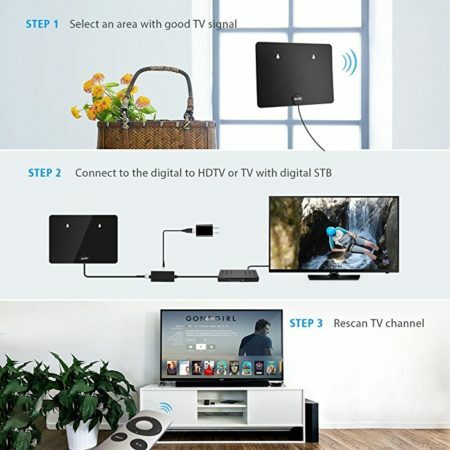 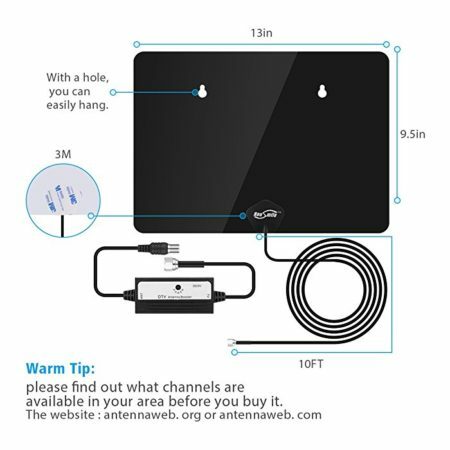 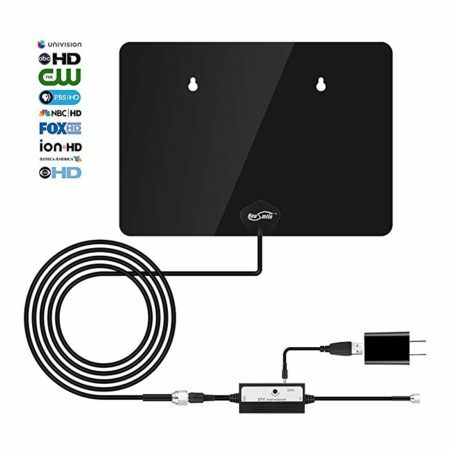 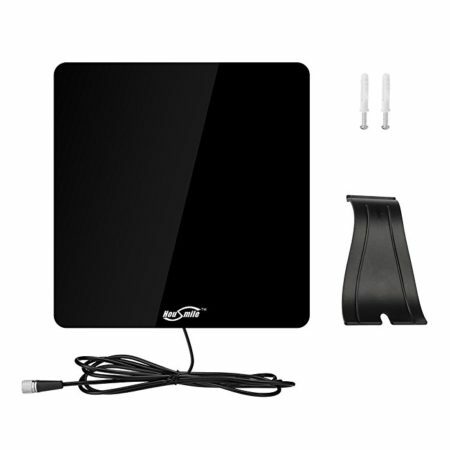 The indoor HDTV antenna features good digital TV signal reception, with high gain and low error rate. 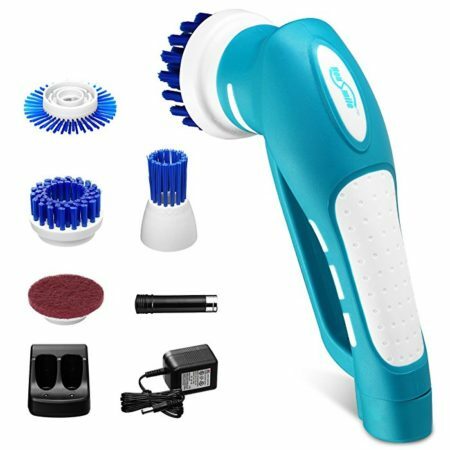 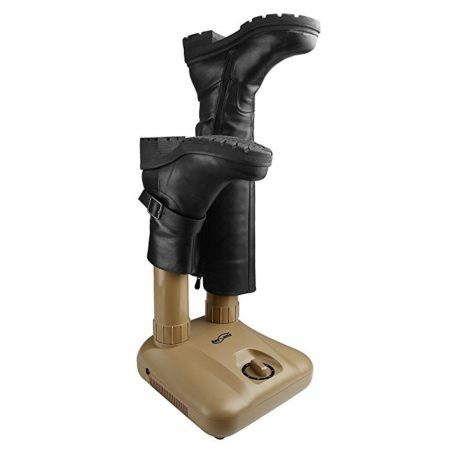 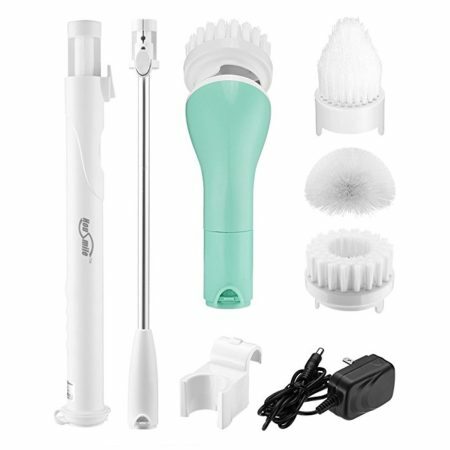 The multi-directional design enables it to receive signals easily from all directions within 50 miles’ range.